When two of Argentina’s most illustrious sommeliers combine literary forces to pen their first wine guide, it’s time to take note. And with more than 400 wine tasted and scored, Reporte Vino Argentino 2017 by Aldo Graziani in collaboration with Valeria Mortara will likely prove to be an extremely handy guide. Sommeliers Valeria Mortara and Aldo Graziani. 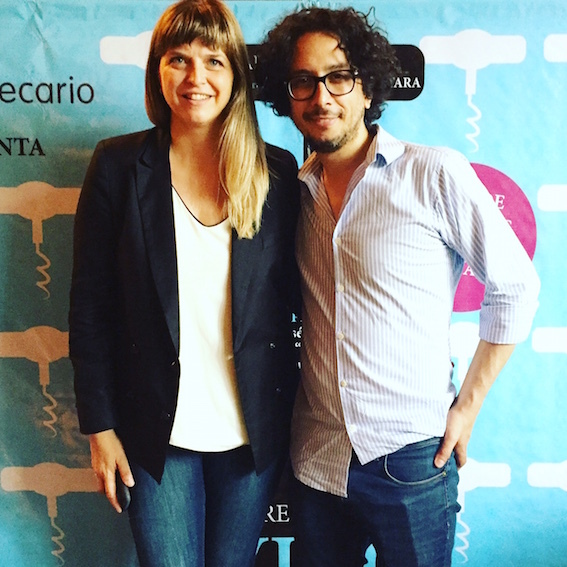 The duo launched the book last night at Casa Cruz, one of Aldo’s numerous gastronomical ventures, and along with it, a splendid tasting fair featuring many of the wines recommended in #RVA2017 that’s Argentina’s first guide to score wines. While I haven’t had a chance to devour it from cover to cover, there are additional power collaborations from the likes of Matías Michelini who writes about My Heart in Gualtallary, while Edy Del Popolo talks about Agrelo and Alejandro Sejanovich talks up La Consulta. The guide also names its top five winemakers paving the way; the top five consistent winemakers; and top five winemakers to keep an eye on. Great intel but I’d like to have read some reasons behind their choices in each category. Still, with 400 ranked wines, there’s plenty to work through – and one enormous 100-pointer to splurge your cash on. Available from book stores now. 320 pesos.